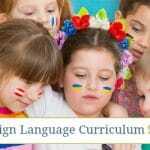 Choosing a foreign language to teach in your homeschool can be challenging. As homeschool moms we want to ensure that what we’re teaching our children will benefit them throughout life. Not everyone needs to speak a foreign language, but the experience that comes from learning one is amazing. However, American Sign Language, also known as ASL, is a foreign language that can make a difference in the lives of many, no matter where you live. When I worked outside the home in retail, I remember we had many deaf customers come into the shop. There were times when they needed assistance locating something and came to the service desk to ask for help. Thankfully, I had some ASL experience from my childhood, so we were able to finger-spell most of our conversation. I stumbled my way through and realized just how important it is to learn sign language. Sadly, most people don’t recognize the need, as a result they don’t take the time to learn sign language. 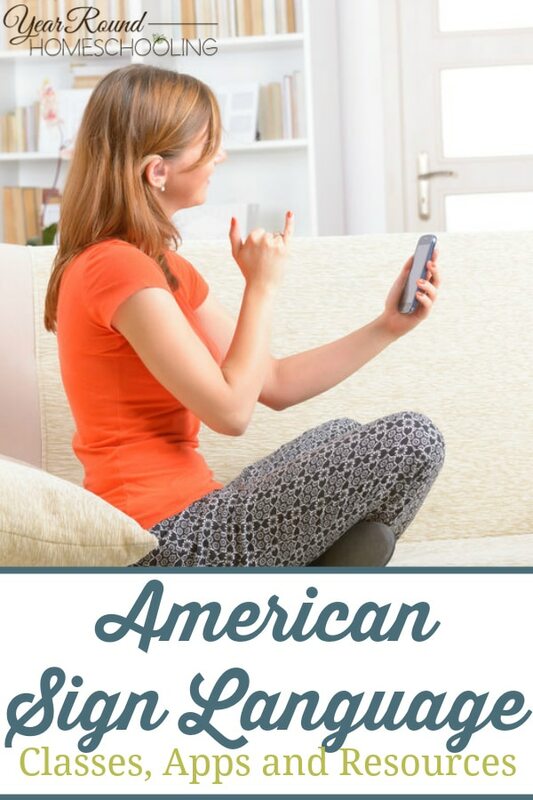 If you’re looking for a foreign language to study in your homeschool, I encourage you to consider ASL. There are countless people who are deaf around the world that need to communicate and sign language is their only method. Teaching a foreign language in your homeschool can be difficult if you don’t speak it yourself. Thanks to the internet, we no longer have to rely on our skills alone to educate our children. There are countless online classes, apps and resources that are available for us to use at our convenience. These ASL classes offer video courses, streaming options, 1 on 1 classes, subscriptions and more. In order to truly learn a foreign language, you need to immerse yourself in it. Using apps combined with your ASL course will allow your students to practice what they’re learning in class. Studying sign language in your homeschool will give your children the opportunity to learn a new language, but it also will allow them to help others throughout their lives. There is often a lack of ASL teachers and professors, as a result there are many positions waiting to be filled. 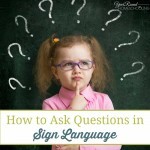 Sign language can be more than a homeschool subject, it could become your child’s profession. What are your favorite ASL classes and resources to use in your homeschool? We have been using the Two Little Hands products since my eldest was a baby (Baby Signing Time, Signing Time, Treeschoolers and Signing Time Sentences). I also have a Deaf Ed minor because of my love of sign from when I was a child myself. Word of caution: not all “baby sign” programs are actually ASL. Some are signs that the authors made up, they should point out that they are actual ASL on them somewhere if they are real. There are also MANY more benefits to signing than communication with a Deaf person (some people may only meet a few in their life, depending on where they live). It is awesome to the Deaf person in a low Deaf area to meet a signer but may not be enough reason for many to learn sign. So some other bonuses: silent parenting (your toddler doesn’t yell “INEED TO POOP! !”, they sign POTTY. Rambunctious 7yo acting up in church sitting with their friends? Sign SIT NOW. Skip counting: you can count to 999 on one hand. Talking through windows or across a crowded or loud room. Fingerspelling your spelling words makes it kinestetic and is awesome for dyslexics. And when you can no longer spell words to speak in code to your spouse you can turn your back to the kids and sign small. Plus car accidents or other emergency. You or Simone you know might be intubated or some other reason that they will be unable to speak. This works around most of those, morose code the rest.